The CW's next big hit premieres on January 18. 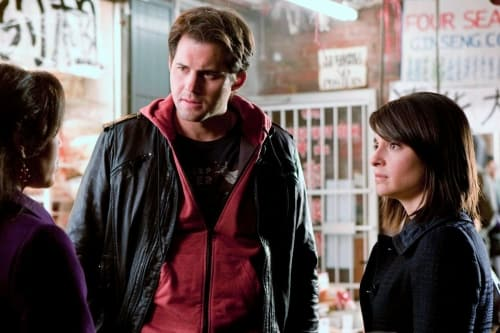 Life Unexpected continues to generate outstanding reviews, including those from TV Fanatic, as our staff has received and recapped the show's pilot episode. As the network counts down until the upcoming debut, it's taking a unique marking step: the first 10 minutes of the series premiere will be posted on Facebook on January 11. "The network is putting an extended preview across all official CW fan pages," states Hollywood Reporter "The approach marks the first time that Facebook has hosted a screening across multiple pages, with Unexpected available to the network's 5.4 million Facebook fans. The move allows CW to directly target its most dedicated viewers online." Those that view this video within the first 24 will be able to post comments on the site, so take note. This isn't just your first chance to see what all the buzz is about. It's also an opportinity to essentially interact with The CW and alert producers to what you liked most about the online snippets.